Who doesn’t love a day at an amusement park? Luckily for those living near or visiting Baltimore, there are many amusement parks, carnivals, entertainment areas, and more to bring the family. Beyond roller coasters, many have other games and rides like bumper boats, arcades, go karts, mini golf, and laser tag. From thrill rides to water slides, here are the five nearest amusement parks to Baltimore. This amusement park has more than 100 attractions—including eight roller coasters—and is just a 30-minute drive southeast of Baltimore. The "America" in the name gives a nod to the park's close proximity to Washington, D.C. In addition to attractions for adults and kids, Six Flags America has a combination family theme park and water park called Hurricane Harbor, which requires no additional charge for entry. Located about a 45-minute drive away from Baltimore in Monrovia, Maryland, this small Western-themed amusement park has plenty of attractions for children, including a roller coaster, ropes course, laser tag, bumper boats, arcade games, go karts, and mini golf. ​Adventure Park USA opened in the summer of 2005. The 14 roller coasters at this amusement park make it work the two-hour drive to Doswell, Virginia, from Baltimore. Kings Dominion has more than 60 rides, shows, and attractions, including Planet Snoopy for the kids and a waterpark called Soak City that is included with admission. With more than 70 attractions and rides (including 14 coasters), a waterpark, and a zoo, you can’t go wrong with a visit to Hersheypark. Originally a leisure park for the employees of Hershey Chocolate Company, the amusement park is adjacent to Hershey's Chocolate World, a visitors' center with shops, restaurants, and a chocolate factory-themed ride. Everything in this theme park is chocolate-themed and there are even tours of the Hershey chocolate factory where you can taste (and buy) some sweets on your own. 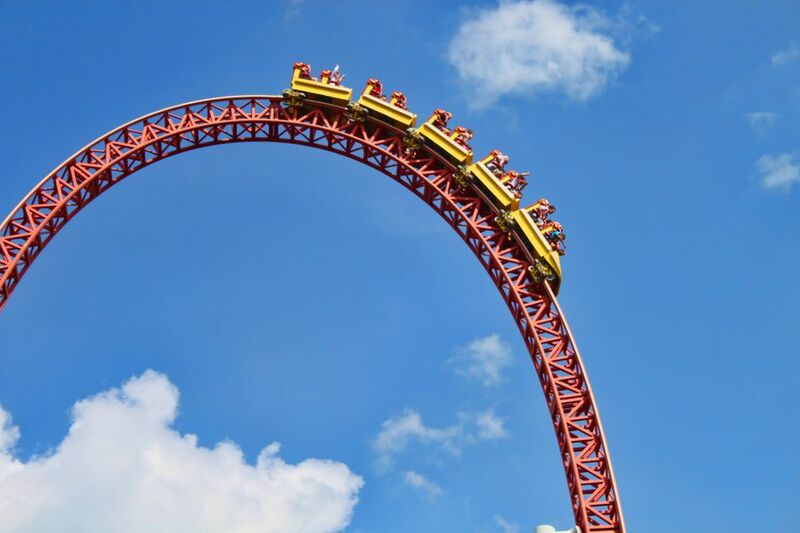 The amusement park is approximately an hour and a half drive from Baltimore to Hershey, Pennsylvania. Themed around old-world Europe, Busch Gardens Williamsburg is separated into 10 different "hamlets" decorated to look like historic European villages in England, Scotland, Ireland, France, Germany, Italy, and French Canada. The amusement park is known for its roller coasters, of which there are currently six. Little ones will love the Sesame Street Forest of Fun and Jack Hanna's Wild Reserve, while the young at heart (but big enough for the coasters) will enjoy the many thrill rides. Make a weekend getaway out of your trip by visiting nearby Colonial Williamsburg, which is only 35 miles from the park.